We’re lucky enough to have been supplying plants to gardens across the country for over a century. We’re strong believers in doing something you love. And there’s nothing we love more than rolling up our sleeves and getting stuck in caring for, talking about and selling plants. 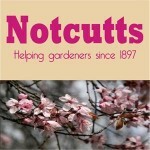 We care about gardening and care about helping gardeners. After all, we should – we’ve been doing it for a long time! We’re inspired by the magic of gardening and our passion for horticulture is at the heart of everything we do. Think fresh cut grass, Snowdrops in Spring or the smell of a good compost and you’ll get a feel for what makes us tick. Proud to be family-owned and independent, our core values of quality and customer care remain the same as when we first started. We thrive on helping you find the inspiration you need to create an outside space you love. Our garden centres are run by dedicated teams of horticultural experts and gardening enthusiasts. Whether you are working from a blank canvass or are a seasoned gardener, you can always be sure of a friendly welcome and expert helping hand. We do hope you’ll love shopping with us. Whether you’re visiting one of our centres or browsing our website, we’re always working hard to offer great choice, fantastic value and expert advice. From plants and sheds, to outdoor furniture and indoor accessories, there’s something for every garden and home at Notcutts.